Alright, my fellow Pacific NW motorcyclists – I never write about insurance, but I’m truly blown away by my current provider. Over 17 years, I’ve always bought full coverage despite Washington’s ridiculous laws not requiring even liability (YIKES) – I don’t need to walk out of a restaurant to find my bike on its side because some jerk hit-and-ran it. However, motorcycle insurance is nuts – one company will quote your bike like you own a Toyota Corolla while another will quote the same bike like it’s a Lamborghini Aventador. 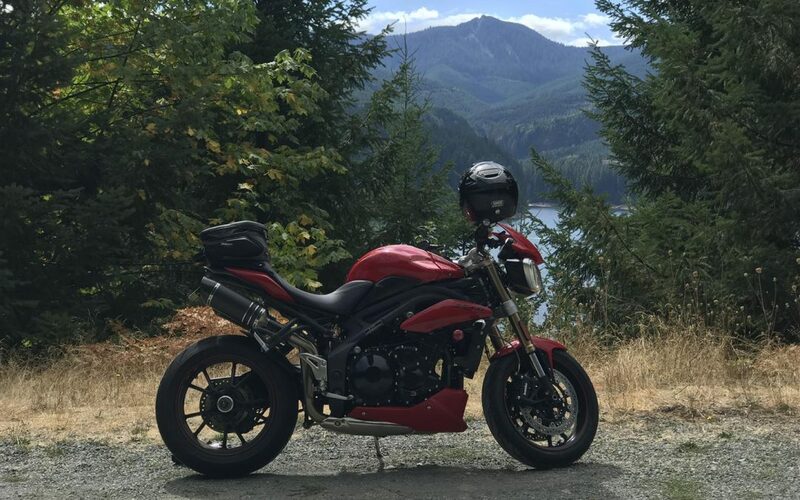 Case in point – my 2015 Speed Triple. When I bought it last year, GEICO quoted me nearly $900 a year so I thought I was doing pretty well when Progressive – my auto insurance provider – quoted me $340 for the same coverage. Well, last November, I discovered Allstate – a company that’s NEVER been competitive for my auto or home insurance – who quoted me $250 a year for the same coverages. I thought it was a glitch but signed up anyway. I received my new documents just today and I’m pleased to say it’s no glitch – my policy went DOWN to $235 a year for full coverage. Plus, my agent holds member appreciation events. He paid for me and a guest to see Avengers Infinity War back in May! I feel ridiculous writing this as I’m not sponsored by Allstate in any way, but Kevin and his team really are THAT good.